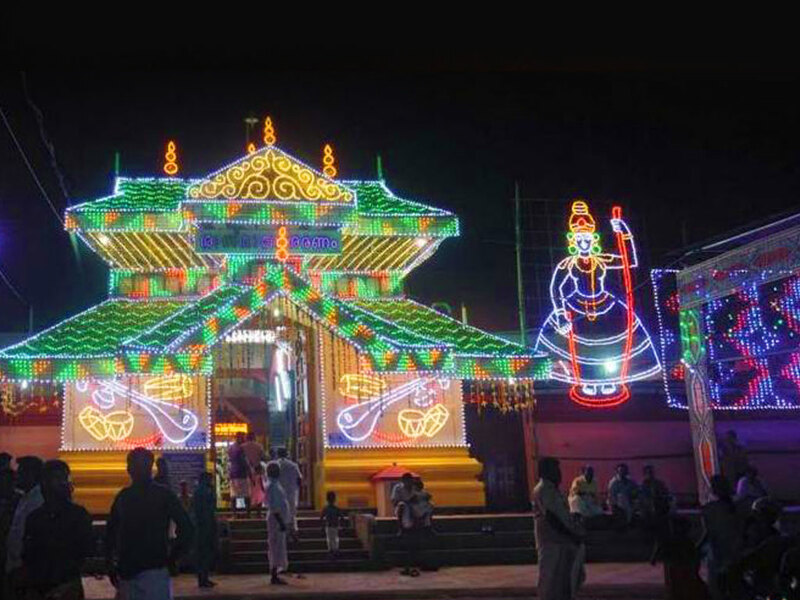 Thiruvullakkavu Sree Dharmasastha Temple, located in Cherpu of Thrissur district, is dedicated to Lord Sastha and here the deity is worshipped in his self-manifested form. 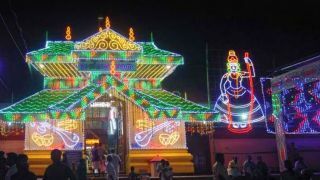 The temple mainly celebrates two festivals, one is the Vishu pooram (April) and the Navarathri festival in the Malayalam month of Kanni (September-October). Besides being a Lord Sastha temple, Navarathri is very auspicious for this temple. The temple is considered to be the Abode of Wisdom by the devotees. Thousands bring their children to Thiruvullakhavu temple for the initiation into the world of letters and knowledge. Huge rushes can be seen on Vijayadasami day, which makes the end of Navarathri festival. Vijayadasami is considered auspicious for initiating children into the world of letters, which is called Vidyarambham. It is the only temple in Kerala where devotees offer naavum narayavum (models of pen & tongue) made of silver & gold to the deity.